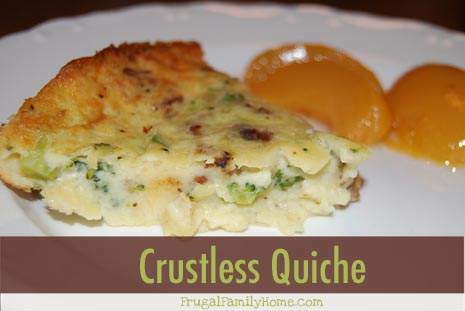 I thought I would share this quick and easy recipe for Crustless Quiche. 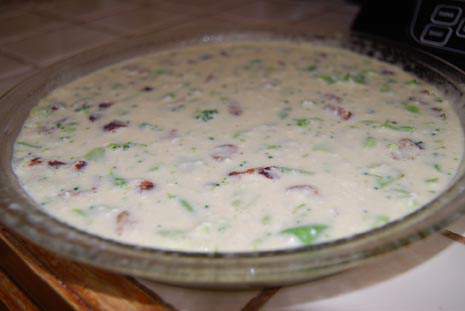 It is great to use up leftover ham or turkey from your Christmas dinner. 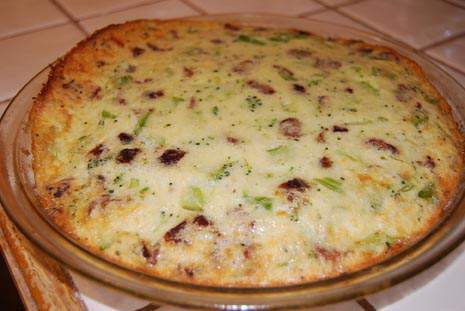 Quiche is a meal everyone in our family likes. It is a filling meal with meat, eggs and veggies and everyone really seems to enjoy it in our family. But I don’t always like making a crust to go with the Quiche. Sometimes I just don’t want to take them time to make a crust but want a stir and bake recipe. So in comes this recipe, which I am not quite sure where I found it but I am sure glad I did. This crustless Quiche recipe is just stir and bake. I usually will use leftovers to make this recipe as it calls for a little meat, a little cooked and drained veggies, eggs, milk and cheese. 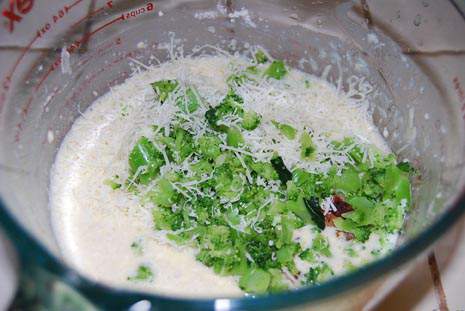 Since you only need small amounts of each item it is a great recipe to use up the leftovers from the meal the night before. Making this meal not only simple but also very budget friendly. It only takes a few minutes to mix and then place in the oven. I also will make a salad while it is baking and in just about an hour (much less hands on time), I have my meal ready for the table. 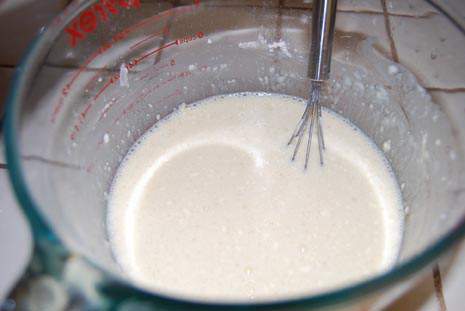 Mix the eggs, water, and milk then add the flour and mix well. Add the rest of the ingredients and then pour into a greased 9 inch pie pan. Bake at 425 for 30-35 minutes. Let set about 5 minutes then cut and serve. You can experiment with other seasonings, just use seasoning combination you like. I know I make Quiche more often now that I have this recipe. It really makes for a quick easy dinner.